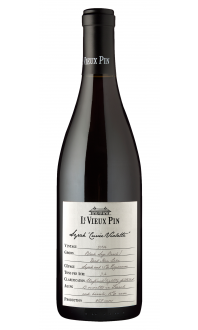 The inspiration for Petit Rouge was to make a wine that adheres to the same standards and level of care as the rest of the wines at Le Vieux Pin, and yet is more accessible upon release. Made from the fruit of younger vines, Petit Rouge offers a big bang for your buck. This year’s blend is comprised of mostly Merlot, thanks to a gorgeously balanced crop. The sun, moon, and stars all lined up for Merlot in 2014. Syrah, albeit a smaller part of the blend, still makes its presence known both on the nose and on the palate, which is lively and harmonious. The great balance of fruit, tannin, and acid makes this wine quite versatile. Food Pairings: This beauty goes well with so many different dishes. While it is perfectly fine to drink this wine on its own, it will shine brightest at the dinner table with food. Pair it with a variety of red meat, cheese, and casual favourites. 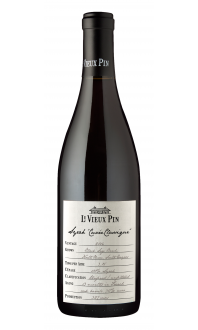 Petit Rouge is the little brother to the big, long-lived reds in their portfolio, designed as the friendly drink-now wine while you cellar the elder siblings. Merlot, cabernet sauvignon is splashed with perfumed syrah to create a lush, dark fruited red, serious in its own right. Structured, if currently slightly ragged tannins support the youthful Southern Okanagan fruit (Black Sage Bench, Golden Mile Bench and Osoyoos Bench), to a peppery, slightly warm finish. Thirteen months in French oak barrels and puncheons, thirty percent new. 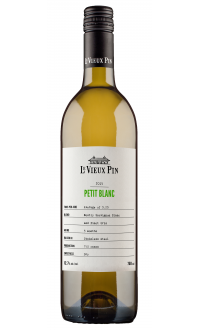 Petit Rouge is Le Vieux Pin wine made with younger grapes, usually sporting higher yields. In 2015 the blend is mostly of merlot and cabernet sauvignon that were easily ripened in 2014 and a small amount of syrah. This light fresh round red wine you can drink now with grilled lamb chops, hamburgers, pasta and or beef dishes. Friendly but complex enough to entice the discriminating drinker.